This exhortation is one I have heard a lot in my life as a teacher, especially when teaching busy, pragmatic adults. My teenage students have a much higher tolerance for the theoretical, ironically. The book of Hebrews ends well for those who are looking for something to do. This has been a common chorus as we have meditated on Hebrews. Notice what the Hebrews author says are the sacrifices that God truly desires: praise, witness, goodness done to others, and fellowship. In other words, love God and love others. The sacrifices God most desires are relational, not ritual. They are the sacrifices of will, time, and energy. It could be that the best sacrifice we could give today would be to forgive a friend who has wronged us or to take the risk involved in mentioning Jesus to someone. As we finish Hebrews today, summarize in one sentence the overall message you have heard God speak into your life from this book. What an incredible chapter! If you got off track last week with Spring Break (for many of us), pick up your Bible right now and read Hebrews 12. It is a great way to start back. There is something for everyone in this practical chapter. I am certainly no runner, as all who know me in the real world know. 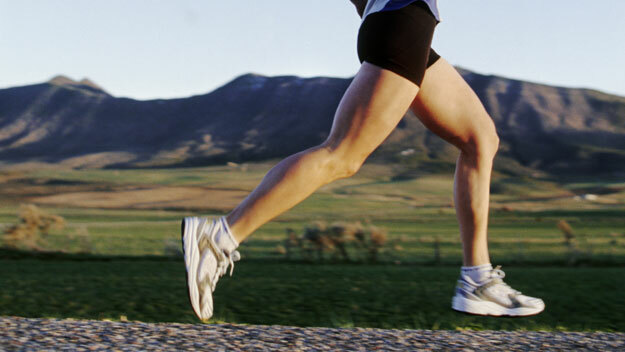 In the sports I played, running was punishment. But from the comfort of the spectator’s spot I can say without a doubt that I have the utmost respect for runners. By all appearances, it takes an extra level of inner fortitude to run long and run hard and not give up. Of course, this passage fits the context of Hebrews perfectly. These Christians are thinking about giving up, so the author pleads with them not to. This is no 100-metre dash. They will have to reach down deep inside for “patience” or endurance and run on. Like some heavy backpack, they would do well to throw off their thinking that the right path to run is the way of the Jewish law and customs. And they don’t need to let sin turn into hurdles on the track before them. I am told by my students who run cross-country that it helps to run as a group, to have one strong leader in the race who helps the others keep pace and then runs back when he is done to encourage the others. For the Hebrew Christians that leader was Jesus. Why would they give up on him now? What verses did you need to hear today? 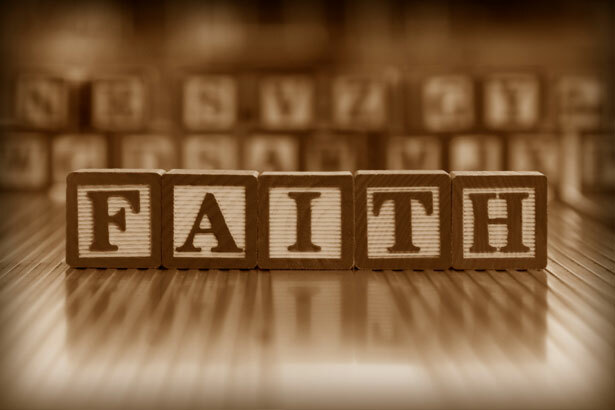 and its many examples of faith, this chapter is certainly that. But hopefully now with an increased appreciation for the context of Hebrews, we can see that these are all examples of a certain kind of faith. If you are a Jew (now or then), the people mentioned in this chapter are heroes. It is their kind of faith you would want to have. That is exactly what the Hebrew author is hoping his audience will realize. Pressing forward: Faithful people don’t sit still in a comfortable place. And they certainly don’t go backward, reverting to a comfortable past. Confidence: Faithful people are sure of better things to come. Rewarding: There is every reason in place to have this sort of faith. Abel was vindicated by God. Unseen: The unseen nature of faith is punctuated in this chapter by the many uses of “seeing” language — “seen” (11:3, 7, 13); “visible” (11:3); “bore witness” (11:4); “see” (11:5, 10, 14); “find” (11:5); “seek” (11:6); “not knowing where he was going” (11:8); “looking ahead” (11:10, 26); “looking” (11:14); “hidden” (11:23); “saw” (11:23); “invisible” (11:27); and “eyes” (11:27). This would have been especially poignant to the Hebrew Christians who seem to be missing the tangible nature of their past Judaism. Their heroes always pursued the unseen as well. Now, the Hebrew Christians have a chance to receive something their own heroes longed for but were never given: a true inheritance in God’s perfect city (11:10, 13-16). What a privilege! It is for them to simply press on as the “people of faith” (10:39) even if it stretches them past the tangible. What struck you in this chapter? Are you confident of your standing with God? All of us are looking for wholeness and peace. We want to know that God accepts us and His words to us should we die today would be “Well done, my good and faithful servant!” And we want to have this assurance with an unshakeable confidence. At the same time, we are fully aware of our own shakiness. We know our frailty and duplicity better than anyone. We look in a mirror and see flaws few others see. So we try harder. We get on the latest and greatest self-improvement plan. 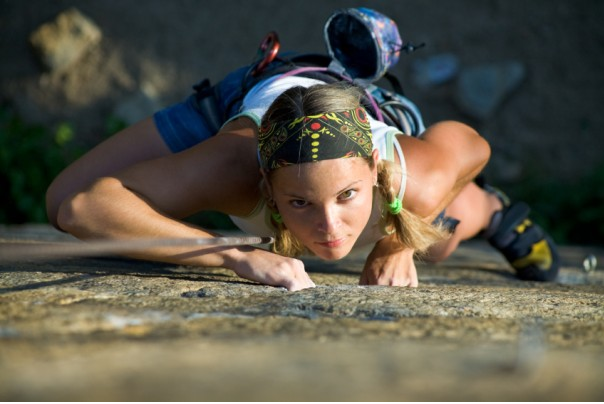 We reach down deeper within ourselves to muster every ounce of self-discipline we have. We make lists of things we should and should not do. We grit our teeth when temptation comes, and just try to hold on. And then we fail. We always fail. Really, we are trying to be justified by law. He are relying on ourselves. Sure, we will accept the advice of God on how to live, but really our sense of wholeness, peace, and acceptance is anchored in our own deeds. Really, we are doing nothing different than any other works-oriented concept of salvation. Like the Hebrew Christians were tempted to do, we are reverting back to system of holiness based on our own efforts and we make light of what Jesus has done, though usually we don’t outright reject our Savior. If the Hebrew Christians — and we too — will hang on to our faith in Jesus and “not throw away our confidence” (10:35), we can have “boldness” (10:19) and a “complete assurance of faith” (10:22). We need not worry, because God is “trustworthy” (10:24) and “our lives will be kept safe” (10:39). We can have confidence in our wholeness, peace, and acceptance because it is anchored in the work of Jesus, not our own vacillating attempts at holiness. But all of this will take faith. More on that tomorrow. What will you do about sin? In one way or another, every human being answers this question. Some are intentionally religious about their answers. Others would prefer to call sin something like “mistakes” or “regrets” or “negative energy.” Regardless, the topic is the same. That is precisely the topic taken up in today’s reading, maybe the clearest and most sustained discussion of “atonement” we have come to this year. By far, the most common answer to the sin question is that we will work it off through good works. It is not always verbalized that way, but that is the point. The solution is up to us. Do more good than bad. Straighten up your own mess. Make better choices. Try harder. Religious people of all sorts answer the question this way, yes, even some that swear an allegiance to Jesus. Good works won’t do it. Offer whatever you wish. Kill a hundred animals. Rely upon yourself and the results will always be the same: failure. We can’t solve the problem ourselves. This is not always a well-liked answer. Some don’t see why God needs to have blood; he can simply forgive. Some see this as barbaric and archaic. Some paint this as the bloodlust of a neurotic, angry god. Well liked or not, the Bible’s answer is always the same: forgiveness takes blood, or more to the point of the symbol of blood, it takes death. The reason for the death and blood will be answered several different ways as we go through the New testament this year, so we will add to the answer as we go. The point here is a legal or contractual one: we stand waiting for an inheritance (9:15). We look forward to the fullness of the Spirit and the world where “everything will be put into proper order” (9:10). Inheritances come from wills, and a will can only be executed when the death of the person promising an inheritance has been substantiated (9:15-17). Thus, blood as a symbol of death is necessary. What did you notice anew in this familiar chapter? I will vote for this verse from today’s reading as the theme verse for the whole book. It sums up quite succinctly the writer’s point as I understand it. Jesus, the heavenly high priest in the true Tabernacle in heaven who gave the once-for-all sacrifice, is the reality that matters. Everything else is a copy intended to point to him. Here we are again at one of those 180° turns. 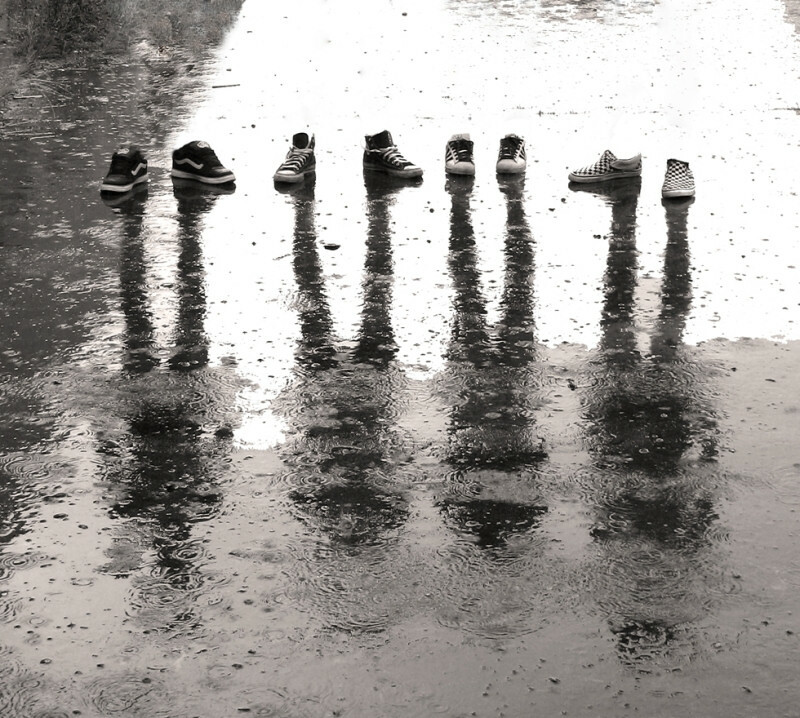 What we think is reality is only a shadow. What is reality is unseen and seemingly shadowy. Plato would like this! Do we think of it that way? Priests are a special breed. Or at least they are often treated that way. The Catholic Church was quite strong where I grew up. Priests were common place. You might come upon one at a restaurant or at the barber. Even from an age too young to fully understand denominational differences and the like, I understood that priests were important people in my community, though I couldn’t understand how he was everyone’s “father.” People would fall over themselves to please him. I understood enough to know when people were trying to find favor with a person, and my neighbors were certainly doing that. I am also reminded of “The Fiddler on the Roof” and the esteem the people of Anatevka gave their old rabbi, the closest thing to a Jewish priest these days. Bless this or that. Teach me the right prayers to pray. The Hebrew Christians would have come from a background where that same sort of thinking would have been prevalent. Priests are the best of the best. They are a step or two closer to God. These men who can trace their ancestry back to Abraham’s great-grandson Levi, who receive tithes from the commoners, who are holy enough to mediate for others, who have access to the inner sanctum of the Temple, places they had only heard about. Special people! And now they were living a common life where all the people of God are equal. Where they all are holy. Where all have access to God in a world with no need for a Temple. Where all can pray for the other, and no one needs their neighbor to mediate their needs to God. Where ancestry doesn’t matter. That would be a bit of change. One could miss their priest a bit. Demarcations like holy people and commoners do make life easier, at least on the surface. They make life simple to diagram and spell out. Everything is predictable and known. It doesn’t take much depth to understand. The Hebrew Christians seem to be toying with the thought that it might be easier to return to the systematic structure of Judaism. This Jesus movement was just too egalitarian, too abstract, too spiritualized. The Hebrews writer reminds his dear friends that they still have a priest. Jesus is a priest too, a high priest at that. 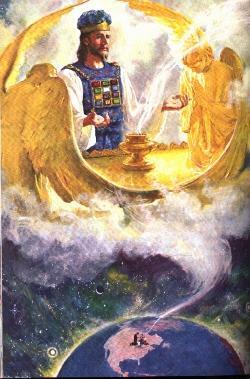 Not a Levitical one; he comes from this superior order of Melchizedek. They have the best priest they could ever find. Why would they return to an inferior option when they can have Jesus? How is modern-day religion easier than following Jesus? We don’t like the word “impossible in this passage, do we? Is this really saying if a person rejects Jesus it is impossible for them to return to Jesus? Once lost, always lost? One commentator argued this passage is likely the most controversial passage in the whole book of Hebrews. Absolutely! We need to look to verse 10 for some guidance: “God is not unjust.” I think most of us would say a god who is unwilling to rescue a person who wants to be saved is a rather unjust god. By that point alone, I think we need to reject any interpretation of this passage that argues a second genuine repentance would be rejected by God after apostasy. Some commentators have argued that the word “tasted,” used twice in this passage, means the hypothetical person only tried out Jesus, like a seeker who might try on religion for a few months. This is the person who tastes the free samples at Sam’s but then walks on without buying a box. He never really accepted Jesus in the first place. But verse 6 does indicate this hypothetical person has previously repented and the idea of “sharing” or partnering in verse 4 connotes active participation in the life of the Holy Spirit. This sounds like more than a seeker. The best explanation I have read in my limited study of this passage comes from George Guthrie (Hebrews, NIV Application Commentary) who says the Greek construction of the last part of this sentence — “since they are crucifying God’s son all over again, on their own account, and holding him up to contempt” — is best interpreted in a causal (“because they”) or temporal (“while they”) manner. So the last clause is best read: “as long as they are crucifying God’s son all over again, on their own account, and hold ing him up to contempt.” Thus the point is that as long as people are in the act of rejecting Jesus they could not feasibly be turned back to him. Their hardness of heart would not allow it. Of course, if their hearts softened and they wanted to repent again, that would be possible. It is not that God would not allow them to return, their own hearts would not allow it. He was the angriest, most bitter student I have ever taught. He made no bones about it. He hated God, hated the Bible, hated my Bible class, and I suspect he hated me by virtue of association. At first I was perplexed by him, then hurt, then angered, and by the end I just hurt for him. I have never met someone so unhappy with anything and everything. His anti-religious bent made more sense to me when I learned that he had been raised by a zealously religious parent who he claimed did not treat him in a very godly manner. He had been raised to have faith, but then he rejected all he had ever been taught. To him, Jesus was a disgraceful fake fit only for simpletons. God was a lunatic’s dream at best. All of it was an object of contempt. Try as I might to share a different view of God, religion, and Christians it was like speaking to a wall. He had one illogical argument after another for why what I was saying could not be true. His perception of God, Jesus, and Christians could best be described as caricatures. Everything was black and white, and religion was purely evil. His heart was hardened like stone. 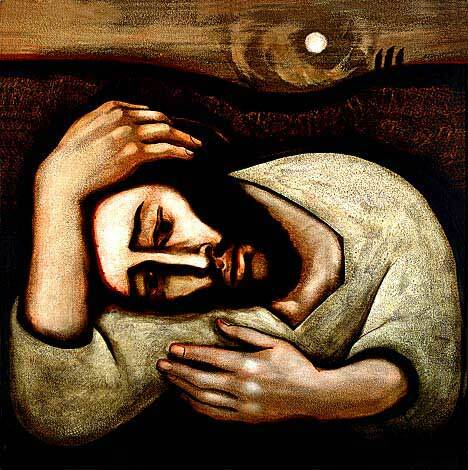 It seemed impossible to hope that he would ever turn again to Jesus. I would like to say he did, but I don’t believe he ever has. Sad to say, today’s passage makes more sense when I think of him. Maybe it was because of the discussion I had with Umm Muhammad on yesterday’s post that I was especially drawn to these verses today. 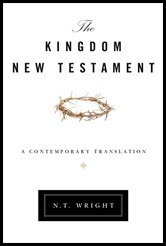 Let me anticipate the questions: If Jesus is God, can God learn to obey (and does he need to)? Was Jesus not already “complete and perfect” before the cross? Are these verses somehow diminishing the moral quality of Jesus? In his popular level commentary on Hebrews in the For Everyone series, N. T. Wright explains this passage using a story about a rich business owner and his son who has just graduated from college and is now ready to take his spot in the family business. One might expect the father to place the son in a posh corner office with a high position and the pay grade to match. But the father does not. He puts the son at an entry-level position and has the son rise through the ranks learning the business as he goes. As a result, when the son does rise to upper management he is a far better leader who understands his trade and his workers better. Wright said it this way: blood made the man a son, but experience made him a boss. Many scholars think the Hebrews author is thinking about Jesus’ Gethsemane experience when he or she writes this. Jesus’ ultimate act of submission was to face the reality that within hours he would drink the cup of God’s wrath and to humbly accept this propitiatory role though he wished otherwise. When he had “completed” the journey to that point or finished the course, he had arrived “perfectly” at the point of pure obedience. Perfect in this context means everything was in place and nothing was lacking, not that Jesus was somehow imperfect or morally deficient before this point. Furthermore, the Hebrew author emphasizes the point that obedience is a “learning” experience, even as it was for Jesus. 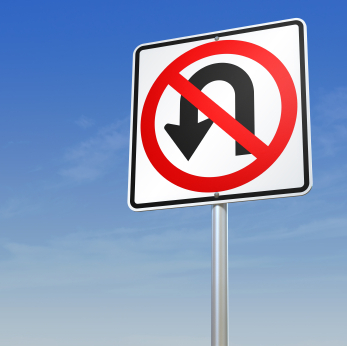 Through a lifetime as a human, Jesus was learning the ins and outs of obedience: that it truly is the best route; what it means to obey in a fallen world; what humans must face to faithfully obey; to feel the true temptation that comes with humanity but also the transformation that comes with obedience. Can an omniscient God know these things? That would seem logical. So it seems the knowledge that comes through experience was still required, at least for Jesus. To mimic Wright’s conclusion above, blood made Jesus a son, but experience made Jesus the perfect high priest. Personally, I am ever so thankful that my Savior truly understands in the most intimate ways what my life is like. That actually makes me love him and respect him all the more. We are headed toward Spring Break. Some of us will have that week off as teachers and students, others will take the week as vacation time because kids are out of school. Some will head to the beach or Disney World or out west to ski if the man-made snow can hold out. Others will simply sit still at home, catch up on the “honey-do list,” and truly rest. These will be wonderful days of restoration. Even if the week is filled with travel and fun-filled attractions, there is still a rest for the soul that is so precious. I would guess most of us love those times of vacation and rest when they come. We feel more sane, more centered, more whole. Probably many of us are thankful for our jobs and feel a sense of purpose in those careers, but we love our breaks too. You may remember that during the forty-year Wilderness Wanderings from Egypt to Canaan, there were some Israelites who let go of their faith in the God of Abraham, Isaac and Jacob. Punishment came and they died in the desert, far shy of the promised rest. Personally, I plan on enjoying my Spring Break. 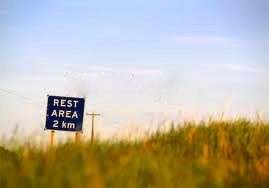 But I am also remembering there is a rest coming that is far longer, richer, and better. What sorts of “rest” do we long for that pale in comparison to God’s final rest? I am not much for roller coasters, so when I muster up the bravery to ride one I remember it. One time as my wife and I stood in a long line to ride some instrument of terror that she would have chosen not me, there were these two tween girls behind us. They talked non-stop and laughed nervously the whole time we waited to board. They stated several times they weren’t sure they could handle the ride. They were afraid they would be thrown off or some other horrible fate they were more than glad to describe. When we got to the front of the line and boarded, I looked back to see the two sitting side by side, close together, arms interlocked with a death grip on the bar in front of them. Not a bad idea if you ask me! Much of Hebrews is a detailed sermon about the superiority of Jesus over all things, especially the Jewish religion from which the Hebrew Christians had come. Interspersed throughout the teaching sections are several pastoral sections of encouragement in which the author pleads with the Hebrews not to give up on Jesus. Today’s section is largely one of those. There is no getting off halfway through the ride. This is no leisurely no-hands bike ride down a peaceful street. Hold on tight! We will have some bumps and quick turns. Because of that, the author makes a suggestion: hold on to each other. We aren’t in this alone. Lash yourself to a friend. Tell each other you can do it. 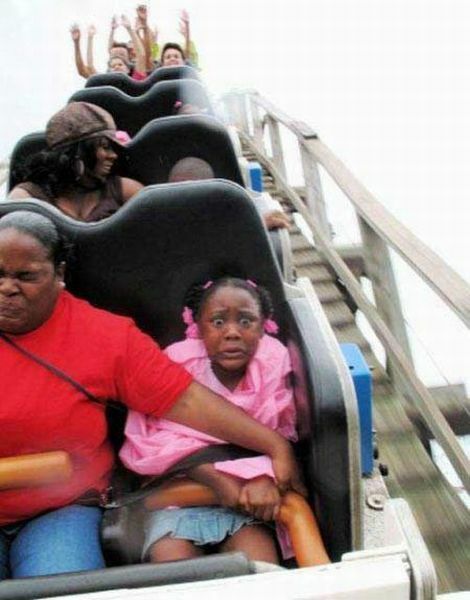 Then hold on tight for the ride of your life! Whether you respond here or not, ask yourself: who is that one friend you need to hang on to on this ride? 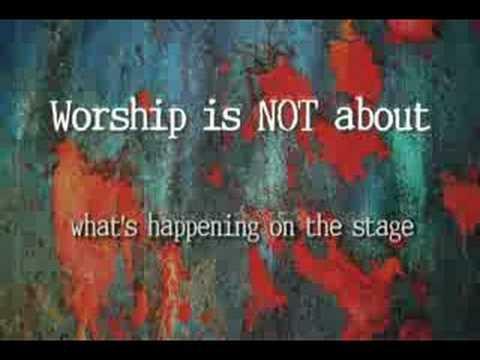 Hebrews 2: Why Worship a Man? 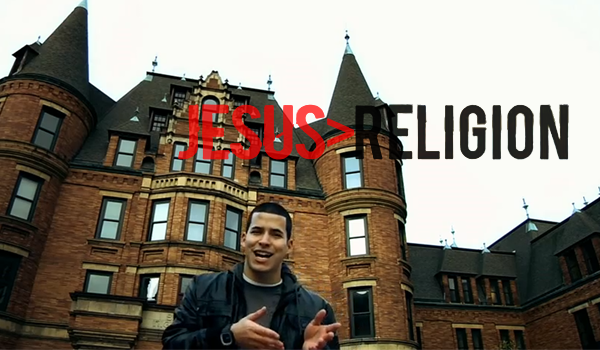 Maybe you are one of the over 20 million people who have viewed Jefferson Bethke “Why I Hate Religion, but Love Jesus” video in the two months since it was released and quickly went viral. Since then, several take-off versions have been produced from Muslims, pro-religious Catholics, and even atheists. 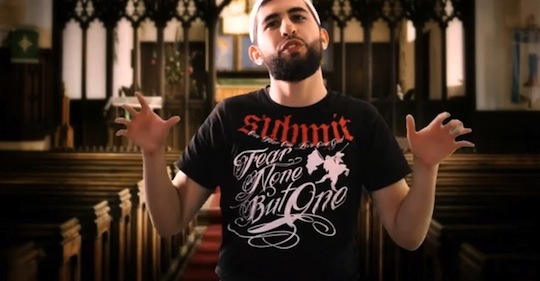 Our friend Hifzan Shafiee, who has commented on here often, has collected on his blog the original Bethke video, the Muslim version, and the Catholic response. Check all three videos out on this one post of his. Our God is all great and cannot be comprehended . . .
We began to believe that God had died, but how could a God even be created? . . .
See, the worshipping of creation goes against the very message he supplied. The Muslim hang up stated so strongly here, is the same objection that seems to be behind Hebrews 2: Why would you worship a human man named Jesus? To a Muslim that seems blasphemous. To a first century Jew who favors angel veneration, a sentiment that had a bit of traction with the Christians being addressed in Hebrews, this idea would seem ridiculous. Aren’t spiritual beings like angels a better object of your esteem than a man? The answer for both the Hebrew Christians and detractors of Jesus today is the same. Yes, there was a time when God made Jesus “a little lower than the angels” (2:7). But this was for a purpose. God did this so that Jesus “might taste death on behalf of everyone” (2:9). But Jesus didn’t just die; that was a precursor to the much greater purpose God had in store: “so that through death he might destroy the one who has the power of death — that is, the devil — and set free the people who all their lives long were under the power of slavery because of the fear of death” (2:14-15). And in becoming a part of the human brotherhood, God in the form of Jesus became a truly sympathetic God (2:17-18). After all, Jesus was far more than just a man. 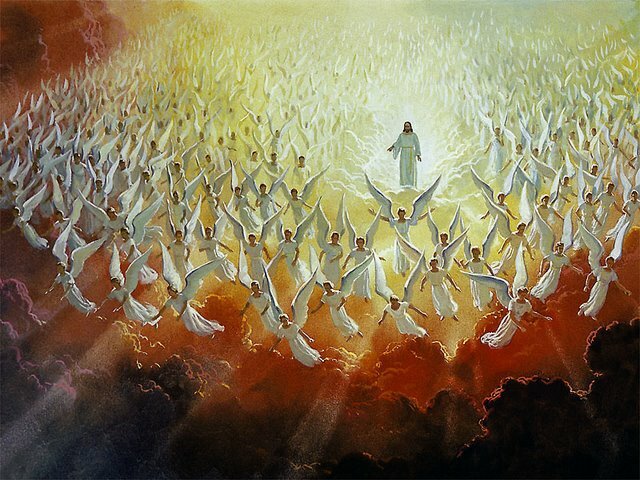 It is a truly magnificent thing to have a transcendent, spiritual God, so majestic that he is surrounded and served by angels. It is also a humbling honor to have an immanent God who understands what our life is like because He lived it and can show us the way to true holiness and submission. In Christ, the Creator became like the Created. In Jesus, God can be both. 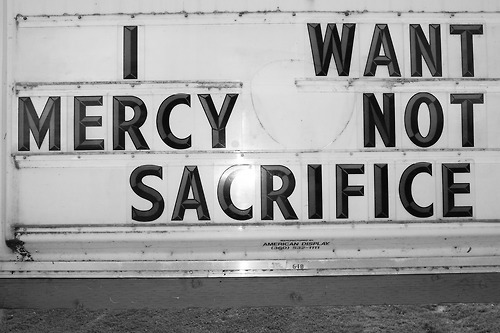 Why settle for less of a God? As I think back to growing up in Canada, I can only remember one or two visits from the Queen of England, the figurehead of Canada, a part of the British Commonwealth. Those were big occasions. Life stopped and people fell over themselves to give her honor. Much more frequent were visits from her family members. Early on, before he fell out of popularity, Prince Charles would visit. When he took a beautiful, charming bride named Diana, they visited several times, to huge crowds as well. Last year, the Queen’s grandson William’s and his stunning bride Kate’s first official royal visit as a couple was to Canada. This was a great honor and they were greeted with open arms and much love. When British political leaders would visit Canada, though, I don’t remember much pomp and circumstance. There is a British ambassador to Canada but nobody makes a big deal out of him. Most Canadian don’t even know who he or she is. If you are the king or queen, you are deserving of the highest honor. If you are the child of the king, great honor is given as well. Servants of the king just aren’t as highly esteemed. It would seem odd to run off from a parade for William and Kate to a dinner for a British parliamentarian. When you can get the grandson why settle for a subject? But he did say this to Jesus, one who is superior to angels in every way. So why trade Jesus for angels? As we begin Hebrews, ask yourself what “lesser things” sometimes supplant Jesus as the Lord of our life? As we start Hebrews today it might be good to take just a moment to survey the basic background of this great letter. As we start a new genre of biblical literature — letters — it is wise to remember they were always written to address a particular situation in the life of first century Christians. To whom was Hebrews written? Hebrews is specific enough to suggest a particular group was being addressed. Given the intensely Jewish flavor of the book, the recipients were certainly Jewish Christians, maybe even living in Palestine or even Jerusalem, but as Judaism had spread throughout the Roman Empire by the first century AD they could be anywhere, even Rome itself. What caused Hebrews to be written? This question is the easiest to answer and the one for which there is the greatest consensus. It is clear that these Christians have come from a rich Jewish religious background with its emphasis on law, priests, sacrifices, and the like. First century AD Judaism was very black and white; do certain rituals and get predictable, desired results. The Jewish Christians addressed in Hebrews have come from this background but now they are struggling with the freedom that grace brings. Without the regular routines and actions of their past Judaism they are left to trust in an invisible God to save them by the one-time sacrifice of Jesus in an invisible spiritual realm. The metaphysical nature of this new religion seems not to have been giving them the same surety and confidence they felt when their duty was law-observance. They were tempted to give up on Jesus and his Way of faith and grace. They were contemplating a return to the tangible Judaism of their youth. The Hebrews author will make case after case that Jesus is superior to anything they might return to.